Bobcats are wild animals that are known to hunt deer, rabbits, chickens, and other small animals; however, this hasn’t stopped one woman from attempting to raise a bobcat as a pet. As of this week, the animal has escaped from her home on four separate occasions. 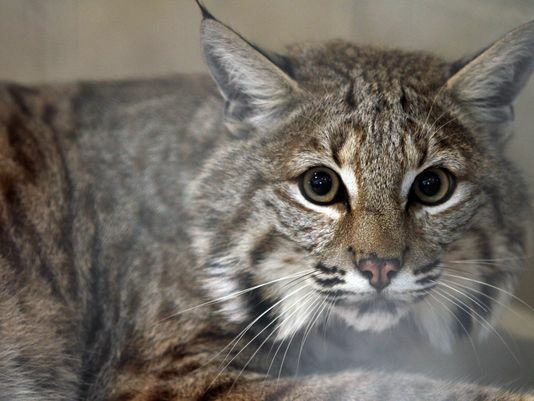 Ginny Fine and her bobcat, Rocky, were given an ultimatum by a municipal court judge after Fine pleaded guilty to letting an animal run at large. The leniency afforded by the judge is attributed to modifications that Price has recently made to her home in order to prevent future escapes. According to Asbury Park Press, Rocky last escaped in July and has since been in the care of Popcorn Park Zoo in Lacey, New Jersey. The judge ruled that if Rocky gets out of the house one more time- Fine will no longer be permitted to keep Rocky in her home. 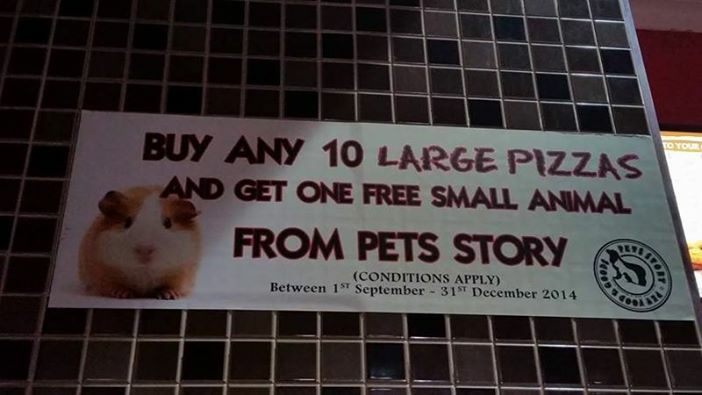 Nothing goes together like pizza and hamsters- or at least that’s what a banner in one Australian Pizza Hut implied when a botched promotion offered a free small animal from a nearby pet store with the purchase of ten large pizzas. The odd promotion was advertised on a large banner and quickly went viral, inspiring hatred from pet lovers in every corner of the web. Mashable reports that Pets Story, the pet store involved with the promotion, gave two different explanations of what went wrong. A senior employee at Pet Story stated that the banner was the issue and that the promotion was intended to give away pet supplies for small animals- not small animals themselves. This statement appears to be contradicted by an account from Debra Tanter, the president of a non-profit organization dedicated to banning the sale of companion animals. Tanter stated that she spoke with an employee of the store who stated that the promotion was legitimate but agreed immediately to end it early. Pet owners know that taking care of an animal is no easy task; however, as shown by Rocky the bobcat, some animals require more care than others. 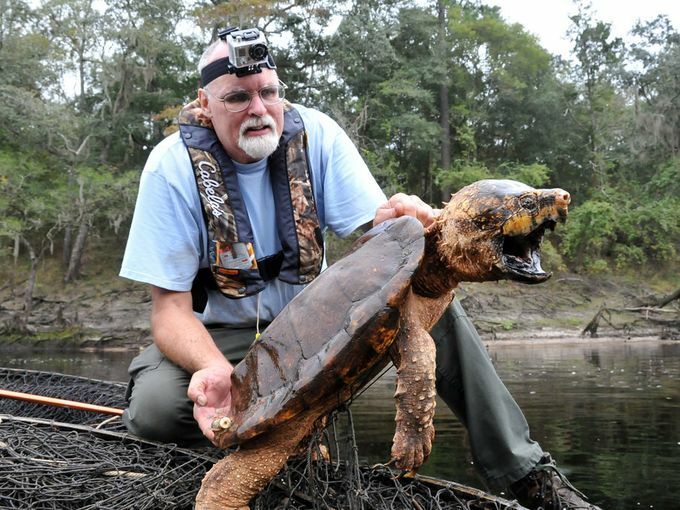 A report by CBS Miami this week announced that the Florida Fish and Wildlife Conservation Commission is seeking experienced pet owners for its Exotic Pet Amnesty Program. The program aims to provide caring homes to exotic pets that have been surrendered to the organization by owners who can no longer care for them. The program aims at finding permanent homes for animals that cannot be released into the wild because they may do harm to native wildlife. Potential adopters must fill out a two-part application to prove their ability to care for a specific type of exotic pet. Although no adoption fees are assessed, caring for these pets can be expensive, so it’s important that those considering the program are certain of their ability to make a long-term commitment to the animal. When raising a puppy, it’s important to make sure that they are exposed to people and other animals early to ensure that they socialize properly. Golden Retrievers are typically social dogs, but they, too, can benefit from socialization techniques early in life. To help pet owners instantiate these techniques, Golden Meadows Retrievers published a guide which thoroughly explains seven techniques used to train sociable Golden Retriever puppies. The guide focuses on the first seven weeks of a puppy’s life and promises that their techniques can help make the dog calm and well-adjusted later in life. The techniques mostly encourage dogs to leave their comfort zone and explore new experiences. 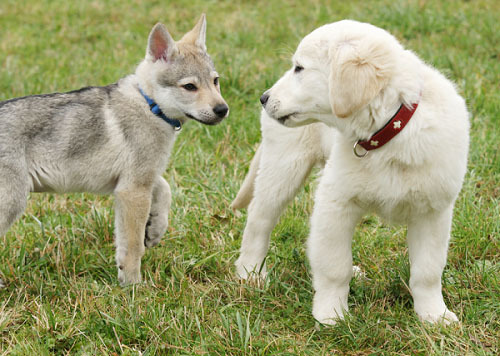 These tips are also helpful for preparing the puppy for obedience training.